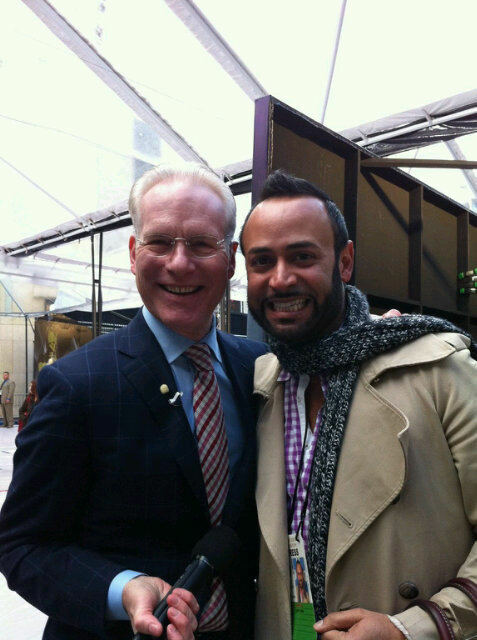 Tim Gunn and Nick Verreos at The Kodak Theater rehearsing for the Academy Awards Red Carpet Coverage. Heidi's dress is from Julien MacDonald. Click here for more. 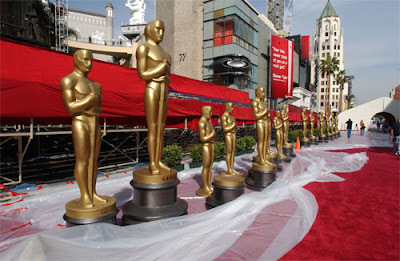 Project Runway model, Amanda Fields will be modeling Oscar Fashions today in the hours leading up to the Awards Show. Look for her in three segments beginning at 2:00 EST and 11:00 PST on E! Have fun Amanda! Look for Amanda Fields appearing on "Kohl's Style Countdown to the Academy Awards!" with Lawrence Zarian tonight on Entertainment Tonight. She will be modeling a Kohl's look inspired by Nicole Kidman. 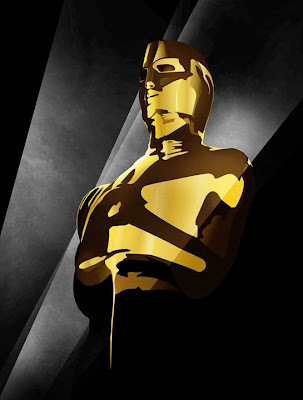 Another reminder that BPR will be hosting a live chat room party for the Oscar Red Carpet this Sunday, February 27. Nick Verreos just wrote to us to share the exciting news that he will be live on the Red Carpet for the first time covering the celebrity glam for TV Guide. 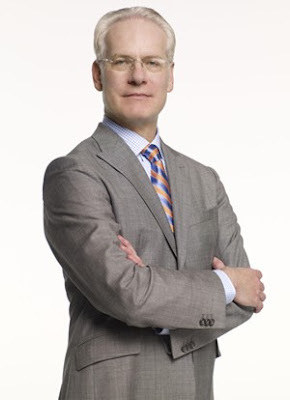 We'll also be checking out Tim Gunn's coverage on ABC. Right now fans have the chance to submit questions for the celebrities via Facebook or Twitter. Maybe Tim will ask yours! BPR's party begins at 6:00 p.m. EST - come join the fun! The women's collection is lovely in mostly black with pops of red and taupe. 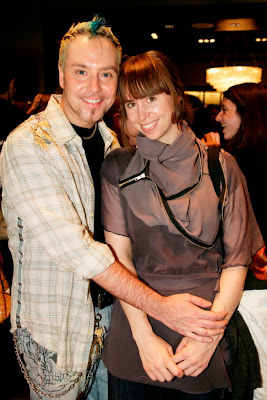 Project Runway Season 5 designer, Daniel Feld has created a Fall 2011 colection. Click here for more photos from the collection. Stay tuned for the Women's collection. 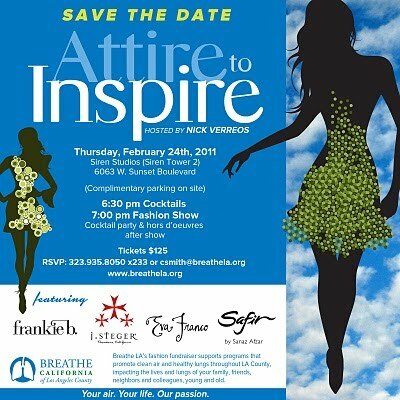 Project Runway Season 2 designer, Nick Verreos will be hosting a fashion-show fundraiser for Breathe LA tomorrow night. Click here for more information. Project Runway Season 1 champion, Jay McCarroll has started a new blog and a new fabric line, Habitat by Free Spirit. Check your local quilt shops and fabric retailers for the collection. Also available online at Spool, and etsy. Notice to all BPR party room fans and chat room monsters! The 83rd Annual Academy Awards ceremony is just days away and BPR will be hosting a live Red Carpet Oscars party right here. We'll be offering our snarky takes on this American celebrity worship ritual and invite you to join us. What's the connection to Project Runway? 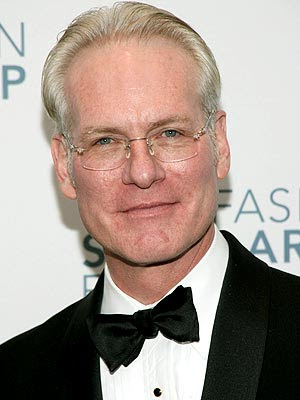 Well, Tim Gunn will be hosting the red carpet arrivals live on ABC, we will get the obligatory Heidi appearance and you never know when a former PR designer gets a look on one of the celebrities. BPR's Red Carpet party room goes live at 6:00 p.m. ET this Sunday, February 27. All are welcome - hope to see you! Photographer Melissa Daniels shares her photos with BPR. Thank you Melissa! Click here for the full range of photos from the event. Project Runway Season 8 designer Nicholas D'Aurizio presented his Fall 2011 Collection on Wednesday at the Chelsea Art Museum. Congratulations, Nicholas! Mondo Guerra will be hosting tonight's "Pozitivity Project" Launch party in Denver. Joe Faris was interviewed by NPR about his new fashion initiative in Detroit. The Project Runway Season 5 designer is manufacturing his jeans in a plant that also creates custom "clothing" for robots. Click here for the story. Seth Aaron Henderson is among the designers showing collections at LA Fashion Week in March. Click here for details. The most thorough coverage is from our own "Snowflakebebe" Christian Merry. She has videos, photos and backstage peeks. Click here for happylolday. Click here for images on Zimbio. Click here for a review from FashionIndie. 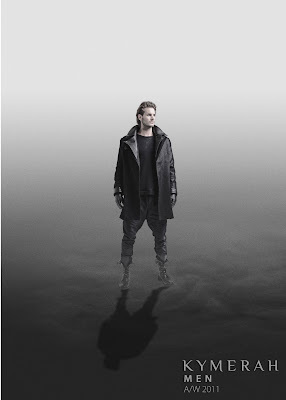 More information about Christian's designs for Spiegel is in today's news. The "capsule collection" has 10 pieces, and is described as "special occasion" dressing. This (above) is his favorite piece. Prices range from $49 - $599. Stay tuned! 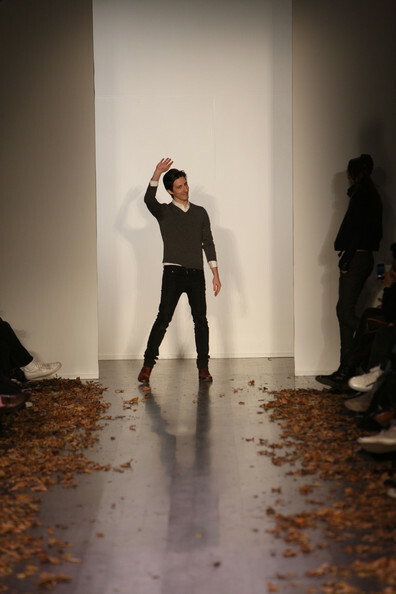 Labels: Christian Siriano, Is there anything he can't do? "Tim Gunn’s Fashion Bible: The Fascinating History of Everything in Your Closet"
"The Project Runway co-host and style guru is taking a witty look at the world of fashion, with each chapter covering an item of clothing from its earliest incarnation to the present day — everything from shoes to underwear." BPR Field Reporter, Nancy T attended Malan Breton's show this morning and sends us this report. Thank you Nancy! Malan Breton doesn't hold fashion shows -- he holds events. Last season's collection featured a pas de deux in Paris. The Fall 2011 season's culmination: a Japanese wedding. Malan's events are always memorable and beautiful. As befitting a fashion show culminating in a wedding, the styles this time seemed (for the most part) to signal seriousness and commitment. The inspiration was classical Japanese kimonos and obis, with nary a trace of contemporary Japanese design. Styling was more formal and tailored than in Malan's previous collections, though Breton stayed with luxurious silks and wools. 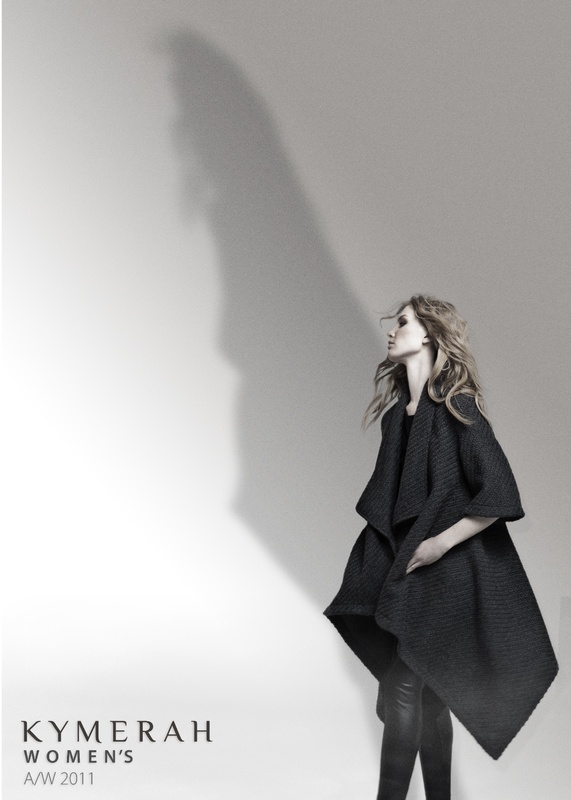 The collection consisted of monochromatic pieces with a dramatic palette of black, white, and jewel tones. The men were dressed for work in the pre-casual-Friday era. Most of the womens' outfits were modest and appropriate for all ages. But, Malan always throws in a few curves to keep it interesting. This time, it was the use of unusual materials on several pieces -- an alligator suit here, a red sequin trouser there, lace pajama suit (for the honeymoon?) and a skirt made of duck feathers. And, the event ended with Malan's friends ready for their wedding. The couple looked radiant: Baron wore an alligator kimono and wool suit, Irina wore a ruby silk wedding dress. The outfits might look bizarre at a wedding at a 21st Century Kyoto shrine, but were divine here in Manhattan. 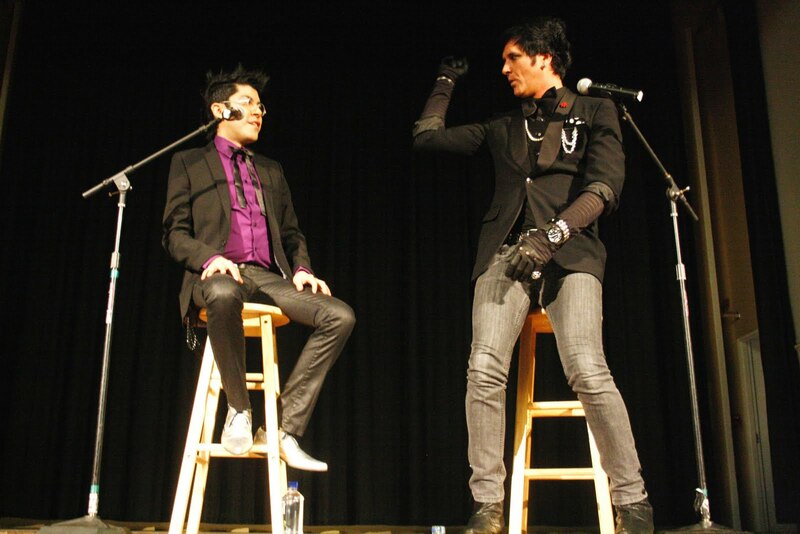 Mondo Guerra and Seth Aaron Henderson recently spoke to a crowd of students and faculty at the University of Rhode Island. A highlight: Before sewing away on "Project Runway," Henderson was spending his days framing houses in California. On the other hand, Guerra was working retail at an amusement park, a profession, and a uniform, he hated. "I'm not really a polo shirt kind of guy...with khaki pants, I mean who does that," Guerra joked. Project Runway All-Stars champion, Daniel Vosovic presented his Fall 2011 RTW Collection on February 15 at The Metropolitan Pavilion. Click here and here for photos of the designs. Click here for some backstage shots. Tim Gunn talks about what people are wearing at Mercedes Benz Fashion Week. Tim also tells Stylist in the Amex Skybox that Season 9 will feature no Snooki or Amber Portwood challenges. "I will throw down the gauntlet", the 57-year old said defiantly. "I do nothing that mitigates bad behavior, I want an end to it," he said. 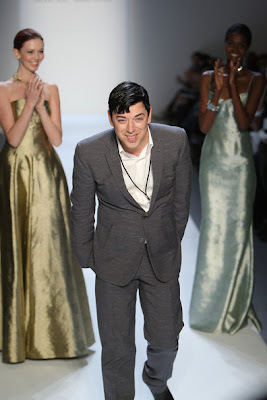 Malan Breton is busy preparing for his Fall 2011 Show on Wednesday but he graciously took some time out to speak with us about the event. A highlight: This show will open with a geisha and close with a mock wedding ceremony. Malan's show will be live-streamed here on Wednesday at 10AM EST. 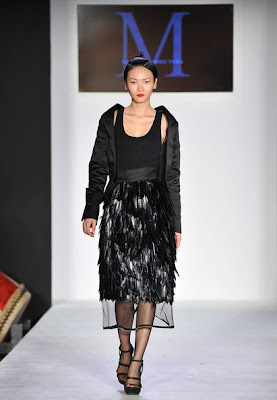 Click here for a great review of Christian Siriano's Fall 2011 Collection. A highlight: Christian has created a line for Spiegel Catalog! (More here at Racked.) Is there anything he can't do? Devoted mom, Nina Garcia is covering the Lincoln Center shows between feedings. Her new baby, Alexander is only 2 and a half months old! Click here for the story. 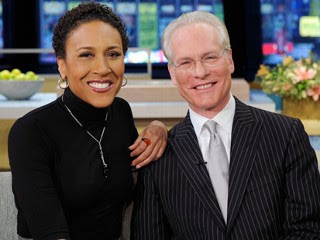 Tim Gunn joins Robin Roberts, Krista Smith and Maria Menounos for "Oscar's Red Carpet Live" for the 83rd Academy Awards on February 27th. Click here for more information. BPR Field Reporter Ali G. sends us this excellent report and photos from Leanne's show. Thank you Ali, Suede and especially Leanne for generously offering seats to BPR readers. It’s Ali G. reporting from the Leanne Marshall fashion show. It happened on Sunday, February 13, 2011 at the Helen Mills Event Space in New York City. 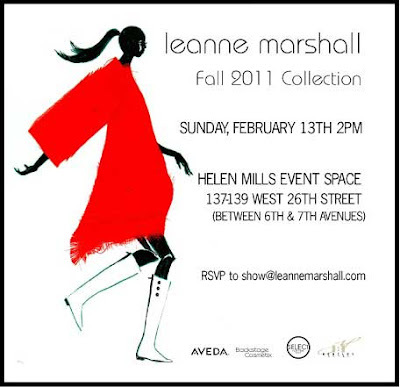 Leanne showcased her Fall 2011 collection. It was absolutely wonderful. There were about 15 looks in the collection. The theme appeared to be modern elegance. 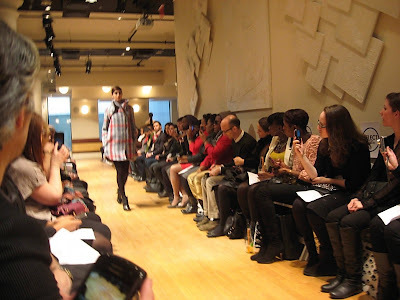 The collection was like looking in the closet of the 2011 sophisticate. Leanne used rich and luxurious fabrics, mainly in solid black, tan, and red but there was a super chic print which reminded me of a multicolored tweed. Most looks had Leanne’s trademark folding and pleating. Kim (center) wore this Wesley Nault (season 5) design to the "Kardashian Glam Pack" Silly Bandz Launch at Kitson in Los Angeles February 4th. More information here. Heidi Klum arrives at the 53rd Annual Grammy Awards at the Staples Center in all her golden glory wearing Julien Macdonald. We're kind of loving this. What do you think? 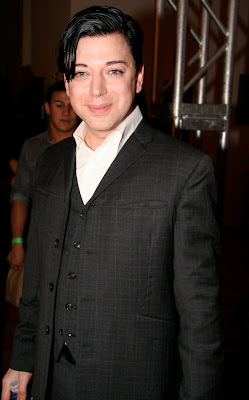 Project Runway Season 4 winner and prodigy Christian Siriano presented his Fall 2011 Collection last night at Mercedes Benz Fashion Week. All photos courtesy of Imaxtree/New York Magazine. Click here for all of the garments. What did you think of his collection? Project Runway Season 6 winner Irina Shabayeva presented her Fall 2011 Collection last night at Mercedes Benz Fashion Week. Project Runway Season 5 champion, Leanne Marshall, has made FOUR PAIRS of tickets to her show available exclusively to BPR Readers! Her dear friend, and fellow designer Suede, will be coordinating the seating. You can request these seats by contacting Suede directly. Please put BPR in the subject line of your request. You will be notified by Friday evening directly from Suede. Good luck BPRs, and please send us some photos! Update: Seats are all spoken for! Congratulations to Ali, Christine, Annie, and Matthew! Project Runway Season 5 designer, Suede, talks about his fashion week plans, his line of patterns for Simplicity, and his options for the future. Click here for Suede's website. Suede has generously offered to coordinate seats to Leanne's show for BPR readers and will be sending a selection of patterns for a future contest. Stay tuned! Mondo Guerra is featured in HP's new "The Style is On" advertising campaign. 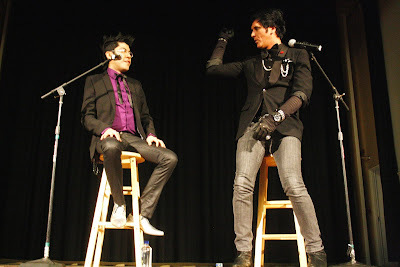 Mondo Guerra will be at the "Good Exchange" Fashion Show and Clothing Swap in Denver tonight. Click here for more information. Christian Siriano offers advice on "What to Wear on a First Date" here in the Wall Street Journal. 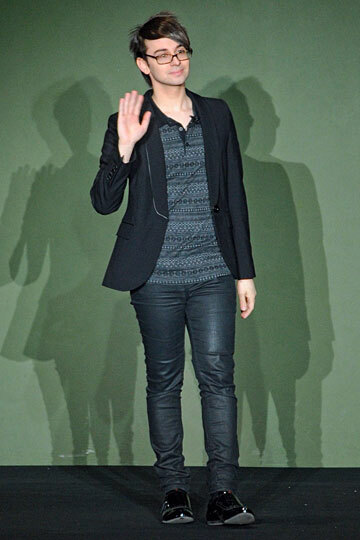 A highlight: Finally, a good wallet is "very important," Mr. Siriano says. "It drives me crazy when a man looks good, and then he's paying and pulls out this old army-green wallet with Velcro that he bought 15 years ago when he was in high school," he says. "It's like, grow up, have a nice, tailored wallet." Click here for a new interview with Daniel Vosovic as he prepares for his Fall 2011 show on Tuesday. Fiji Water is one of Christian Siriano's sponsors and they are offering a live-stream direct from Christian's show tonight. 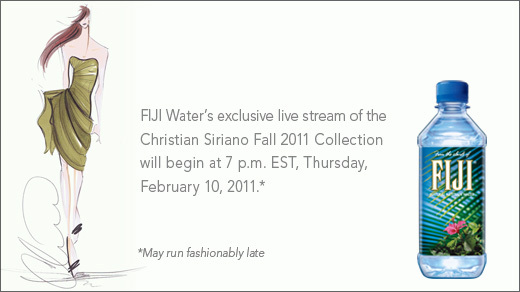 Click here to watch beginning at about 7PM EST. Also, click here for Christian's newly-updated website. 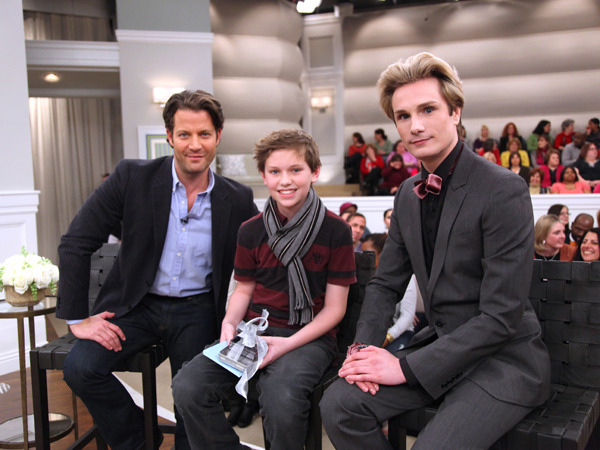 Tim joins Jennifer Hudson today on The Oprah Show to talk about fashion and weight loss. Click here for more information. Click here to order (only $19.99) from Amazon. 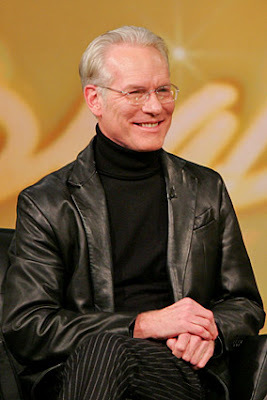 Tim Gunn on "Mondays With Marlo"
In this clip, Tim answers the question, "What is today's biggest fashion atrocity?" Before you watch, can you predict what he will say? 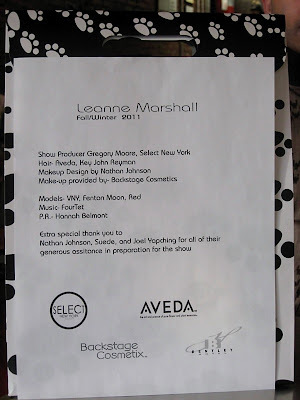 Project Runway Season 5 design, Blayne Walsh presented Sarah McLachlan with a custom jacket last Friday before her concert at the Paramount Theatre in Seattle. 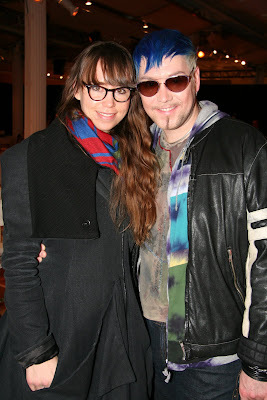 Blayne said, "It was a dream come true meeting, designing & actually getting to spend time with her," especially after all the years he's admired her & her music. This is huge. Katy Perry unveiled her new perfume "Purr" yesterday in Mexico City wearing an adorable dress from the Nikolaki Spring '11 collection. Congratulations to our beloved Uncle Nick Verreos and David Paul, she looks great! 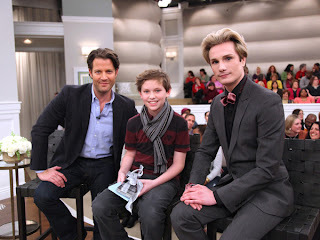 Project Runway Season 1 designer Austin Scarlett appeared on The Nate Berkus Show today. Scarlett encouraged a young designer. Click here to watch. It's really cute! Houston-based Field Reporter, John Chakalis shares this story from Saturday night's event. Thanks again, John C! Season 2 winner Chloe Dao hosted yet another fabulous event at Lot 8 in Houston, but this time shared the spotlight with local designers hand-selected by Chloe and the Lot 8 team. Six clothing and six jewelry designers from the Houston area will have their designs sold at Lot 8 alongside Chloe's signature collections. Chloe hopes to continue to bring new designers into Lot 8 in the future, and is also working with the fashion design program at Houston Community College to highlight younger talent. Ms. Dao herself is currently working on designing a signature bathrobe that will be showcased nationwide at Massage Heights. With her Spring 2011 collection currently on sale at Lot 8, Chloe will soon be back in her studio designing away for the fall. Thanks again to Chloe and Lot 8 making Houston more fashionable by the day! Chloe Dao on New PBS Show, "Get The Math"
Watch the full episode. See more THIRTEEN Kids. Chloe's episode airs on February 20th. Check your local listings for times. This gown was a true "statement piece" from Christian's SS11 collection, Nicki worked it on SNL! Also, click here for some "Fun Facts" about Christian from InStyle. From the Spring 2011 Collection - Photo: New York Magazine. Marlo Thomas hosts the live webshow and you can submit your questions to Tim! Katy Perry Wears a NIKOLAKI Design! Singer Katy Perry wore this dress from the Spring 2011 Collection of Nick Verreos and David Paul to the launch of her new "Purr" fragrance in Mexico City. Through Feb. 14, for every pair of the special red Hope shoe purchased, a pair will be donated to a child in Central America who needs shoes. Click here for more information. Click here to shop online. Singer Debbie Gibson wore this dress from Christian's Fall 2010 collection to the premiere of Syfy's "Mega Python vs. Gatoroid" at the Ziegfeld Theatre on January 24, 2011 in New York City.